Another strong sign of an industry getting its house in order is the Federal Government inaugurating the Development Partner and Donor Agencies Coordination Group on Mining. The forum is expected to serve as a platform where development partners and donor agencies such as the World Bank, DFID, UNDP and the likes, meet to review, coordinate and synergise their programs with the aim of increasing the efficiency and effectiveness of assistance provided to the mining sector. B2B INTERNATIONAL EXPO: Featuring leading technology and innovative services covering the value chain of the mining industry. CEO ROUNDTABLE: Deep diving into the key challenges facing the private stakeholders, driven by MAN and PwC - new. INVESTOR BREAKFAST: Delivering all the necessary information and contacts required to invest in mining in Nigeria – new. DRAGONS’ DEN: Enabling project financing by pitching mining business plans to a panel of selected financiers – new. SITE VISIT: Discovering first-hand the reality and best practice of a world-class operation – new. 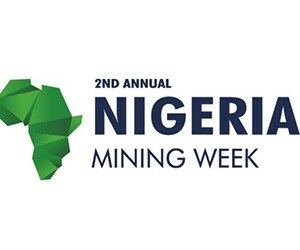 As with previous years, the Nigeria Mining Week is enjoying strong support from the industry with early confirmed sponsorships from Palladium Mining Limited, SBOG, Congo Energy Solutions, Kian Smith Trade & Co, Minelab and Wilbahi. The Nigeria Mining Week is organised by the Miners Association of Nigeria in partnership with Spintelligent and PwC Nigeria. Spintelligent is a well-known trade conference and expo organiser on the continent. The company has particular expertise and experience in mining and infrastructure development events; including the long running flagship shows such as DRC Mining Week in Lubumbashi, the Kenya Mining Forum in Nairobi and African Utility Week in Cape Town.